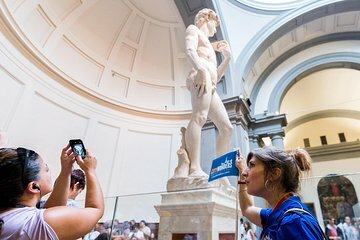 Breeze through the long lines to see Michelangelo's 'David' on this affordable, bestselling tour. Begin your walking tour with skip-the-line entrance inside the Accademia Gallery, home to Michelangelo’s David. Marvel at the lifelike contours of the 17-foot sculpture and see why this creation has become of the most iconic in the world. Afterward, continue on a 3-hour walking tour of the city. Your guide will point out architecture from the Middle Ages and Renaissance, as well as provide historical commentary and local lore about the sites that you pass. Visit the Duomo Square, where the magnificent Florence Cathedral is, known locally as Il Duomo, for the stunning dome that crowns it. This incredible feat of engineering required a whole new process for its construction, which your guide will describe as you view it from the outside. The entrance to the Duomo is free and you can visit independently if you wish, as your guide provides a full explanation of its inside and outside features. Delve deeper into Florence’s rich history with a visit to the medieval Palazzo Vecchio and the Church of Orsanmichele to witness statues by famed artists such as Donatello, Ghiberti and Verrocchio. You'll also pass the grand exterior of the Uffizi Gallery, filled with Renaissance masterpieces from Botticelli, da Vinci and other greats. Visit the former Ancient Forum, now Piazza della Repubblica. Don't forget to rub the nose of the legendary boar statute, il Porcellino, promising your return to Florence! 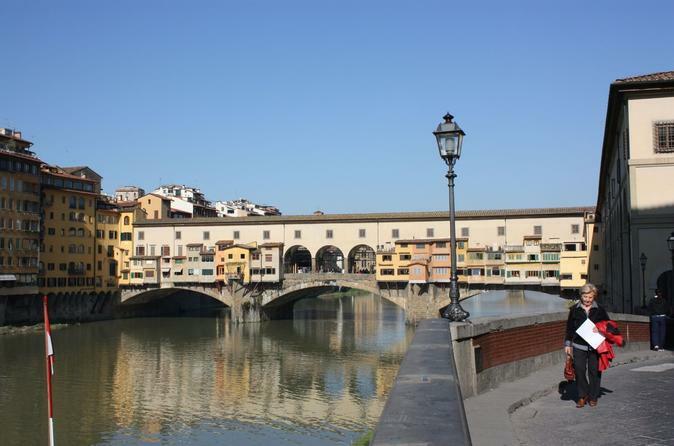 Your tour will conclude in Lungarno, facing the historic Ponte Vecchio bridge.